as there is no school for that any more. So, Pál is one of the last of the Mohicans…. 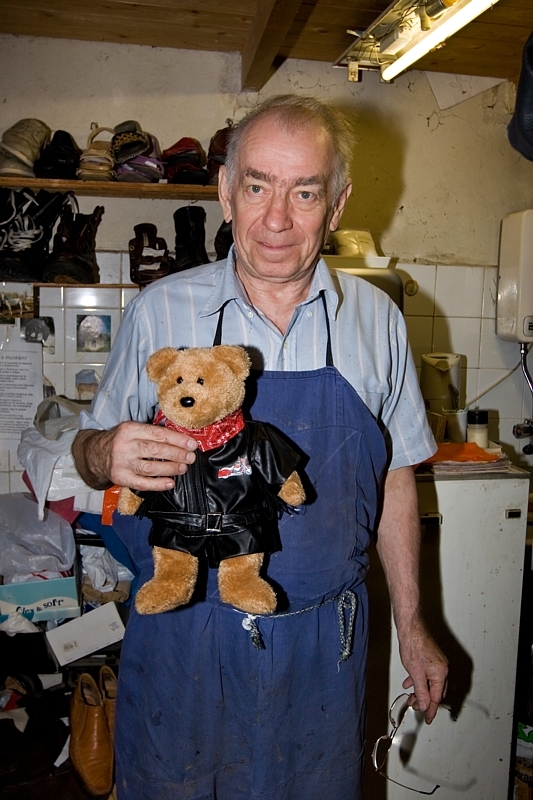 Endre, ttake better care of your boots! I see a nice pair of tan-coloured leather shoes on Mr.Nietsch's shelf that would look good on you, Frimpong. And your leather jacket looks very cool indeed.